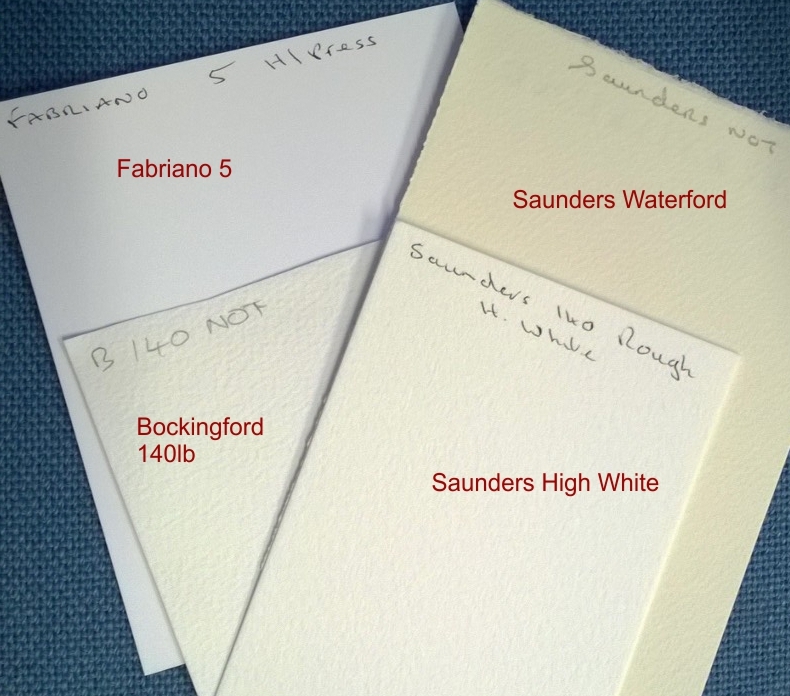 High White is a new addition to the Saunders range with a new whiter shade which is much brighter. 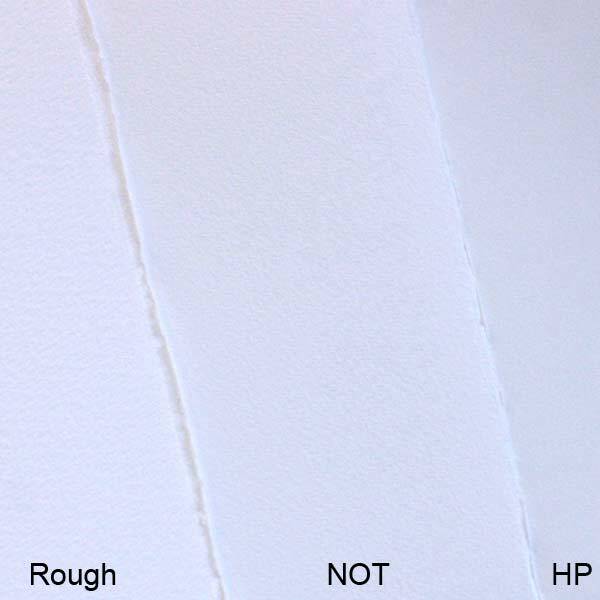 St Cuthberts Mill made the new ‘High White’ after requests from professional artists who were searching for a whiter shade of watercolour paper, but without compromising on quality that only a professional grade watercolour paper like Saunders Waterford can offer. The base colour of the paper shows through the transparent washes of watercolour, and the original ‘White’ shade of Saunders Waterford could affect the paints. With the new ‘High White’ shade the paints pigments will appear more vivid, and with more sparkle, giving the whole painting a fresher look. A whiter sheet will make finished paintings more contemporary looking, as artists have commented that they felt the original white colour created a more antique look to their finished compositions. Available in an identical range as the original 'white' Saunders Waterford paper. Available in 140lb, 200lb and 300lb in the following surfaces ROUGH, COLD PRESSED (NOT) and HOT PRESSED (HP). The rough is the roughest paper, NOT is a medium texture and HP is smooth. 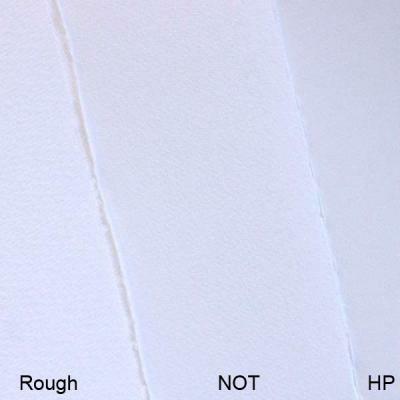 PLEASE NOTE: Some customers have not been sure how Saunders High White compares in whiteness to other papers. Click on small image to right to see a comparison. Fabriano 5 paper is the whitest paper in the photo. Extra discount available when you buy more than one pack of 140lb, 200lb or 300lb! Each pack contains 5 full imperial sheets of paper, which can be cut into 1/2 or 1/4 imperial at no extra charge. Please note that if the paper is cut then there will no longer be deckled edges on all four sides. When the paper is cut, in half, there will be 3 deckle edges and when the paper is cut, in quarter, there will be 2 deckle edges. Only £26.12 per pack when you buy 2 packs of Saunders High White 200lb. Only £38.85 per pack when you buy 2 or more packs of Saunders High White 300lb.